Those living in northeast San Jose will be hearing more BART trains moving up and down the newly built tracks in the coming weeks as transit officials ramp up testing and at faster speeds. The more frequent testing comes as the Santa Clara Valley Transportation Authority gets closer to the opening of the BART Berryessa station. Some residents in the area are concerned about the noise. "I do hear them when I have my windows open," said Tanim Abdullah, who lives on Brooktree Square, about 30 feet away from the train tracks. "You hear the train going by, the sonic boom. Everything." The tracks and the trains are part of the 10-mile BART extension into San Jose, a project that's expected to open later this year. The VTA is responsible for funding and building the tracks and the station, but BART will run it. And before the station is handed over to BART, VTA plans to conduct thorough, progressive tests until June. "This could happen throughout the 20-hour span of the day, and we are looking to run trains more quickly at up to 80 mph, which is going to be what service will be like," VTA spokeswoman Brandi Childress said. The VTA said it has installed sound-proof windows and doors in about 250 homes in the neighborhood to control muffle the noise. Abdullah is one of the neighbors with the sound-proof windows and doors. "The sound problem has been mitigated more or less," Abdullah said, adding that he is thankful and a little less concerned about the increase in train testing. "It sounds like a really quiet hum. Like a refrigerator." 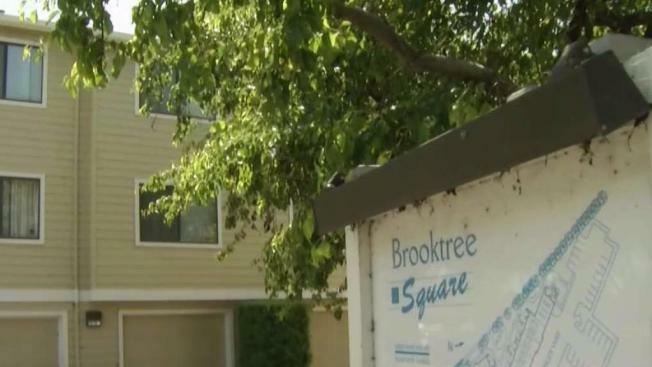 Childress said while the noise of a new transit system will now be a part of living in the Brooktree Square neighborhood, the benefit of that is that the residents there will get to use it. Once VTA turns the station over, BART will start its own train testing that mirrors real day-to-day operations.